The panel before the Awards was often serious and introspective. And the Awards themselves showed the charming nervousness of game developers who aren’t used to the spotlight. But the After Party is full of collegiality and general hijinks. 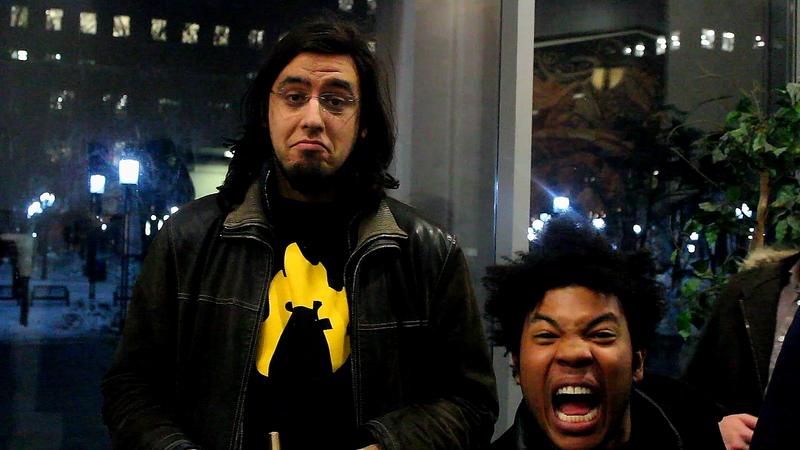 Here’s Rami Ismail, Best Mobile Game winner for Ridiculous Fishing from Vlambeer, along with Logan Cunningham from SuperGiant Games. Logan was the very first host of the Circle Awards. He rocked it! The photo is by Victor Kalogiannis.